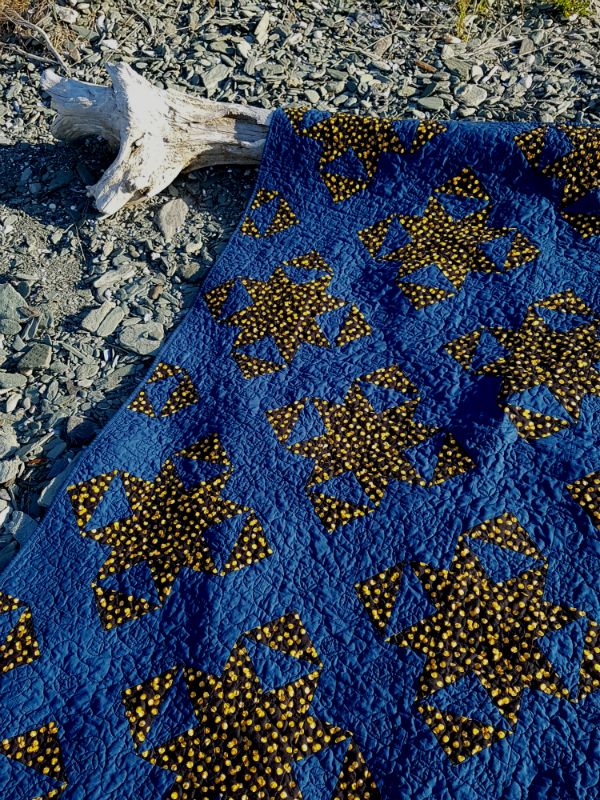 My Night Sky quilt is in the newest issue of Make Modern magazine (affiliate link), which has just been released 😊 It finishes at 60" x 72", which is my favourite size for throw quilts. 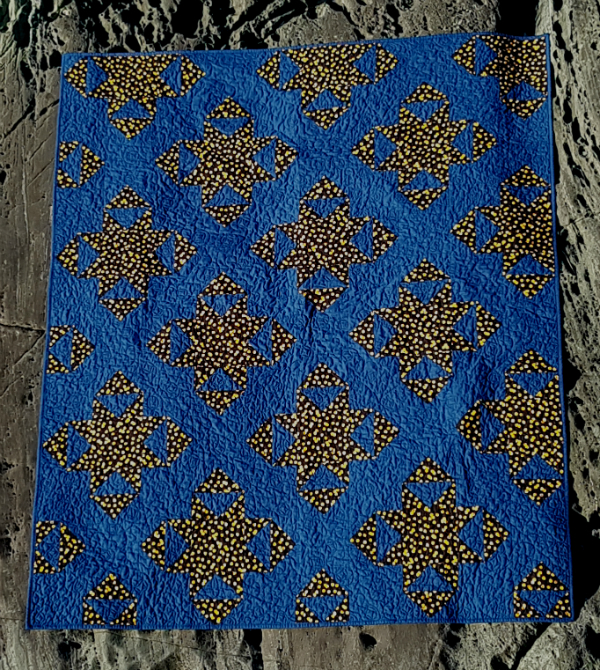 I used Michael Miller's Cotton Couture solid in a lovely deep blue for the background. 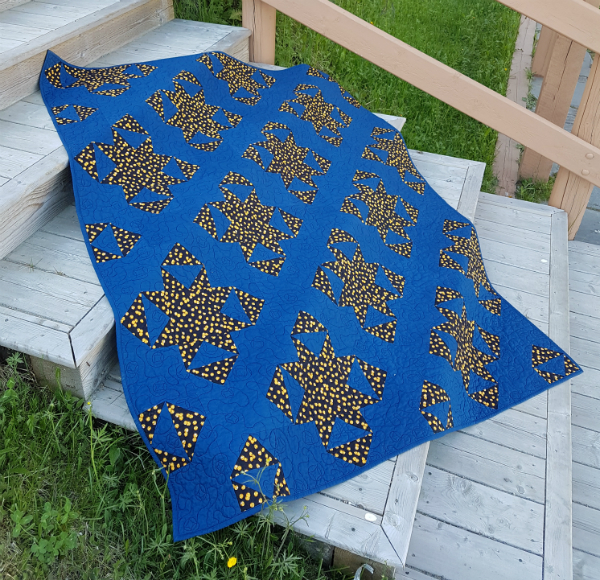 This was my first time using the Cotton Couture fabric and I loved the feel of it. It's so soft and drapey. The stars are made of another Michael Miller fabric, from the Glam Girls line by American Dream House. Aren't the sequins just perfect for sparkly stars? 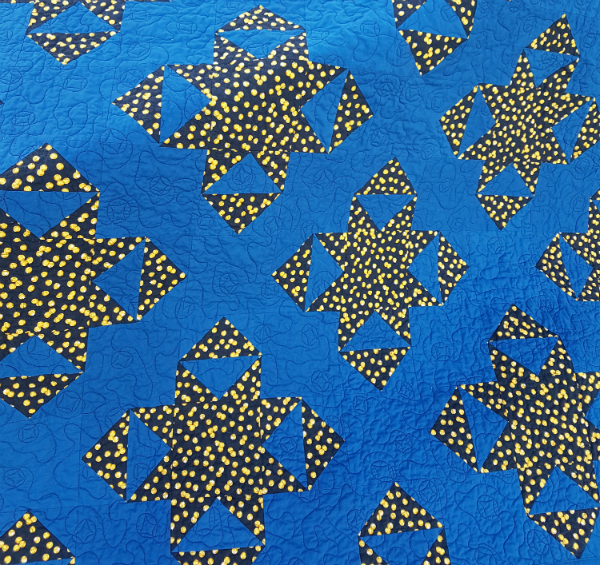 I quilted Night Sky using the 'baubles' design from Christina Camelli's book, Step-by-Step Free Motion Quilting. The baubles look rather star like, themselves, don't you think? 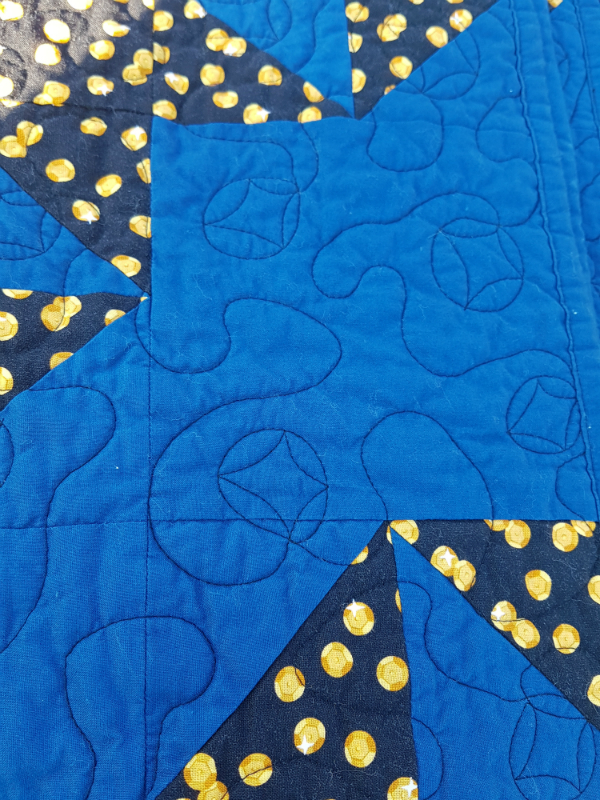 I used Aurifil black, #2692, for the quilting. It stands out nicely on the blue, but not so much that it's distracting. Head on over to Make Modern (affiliate link) to pick up your copy, or to start your new subscription! Note, this post contains affiliate links, which means if you click on the link and then make a purchase, I may receive a small commission. This does not affect the price you pay. Cotton Couture has an amazing hand. The only fabric I have found softer are Cloud9 Cirrus Solids. Lovely design, and I love how the Glam Girls print really makes the stars sparkle! Congrats on another publication Leanne! I am not familiar (gasp!!) with Cotton Couture...might need to rectify that asap. Love this; I remember seeing sneak peeks when you were working on it! I love interlocking patterns. Way to go! Lovely work, again, Leanne. I do love the old made new and this is a fun pattern. 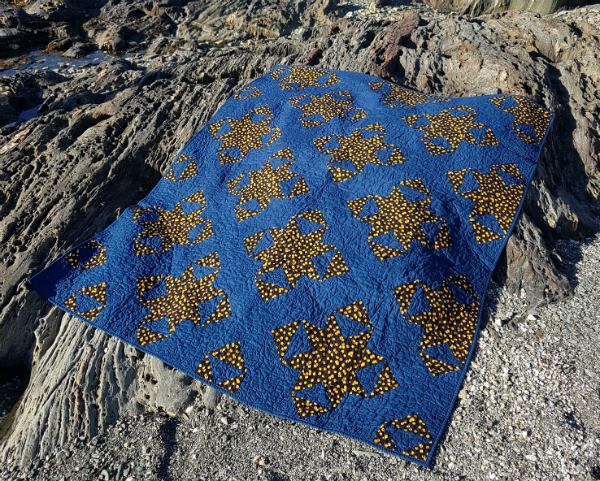 I think the fabric would be fun with those fireflies quilts that are roaming about. It reminds me of the shiny bright bottoms. 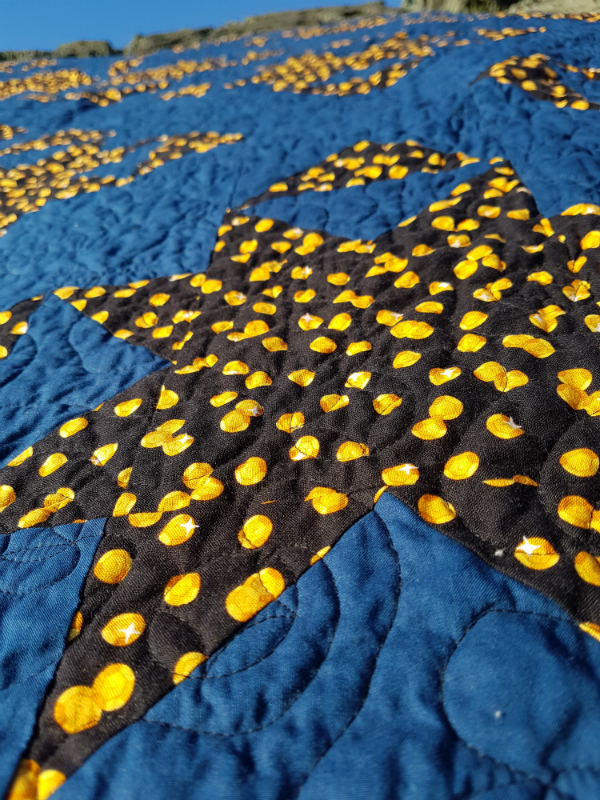 Stars on the quilt and stars in the quilt and sparkles everywhere! This quilt makes me happy just looking at it. Love it!